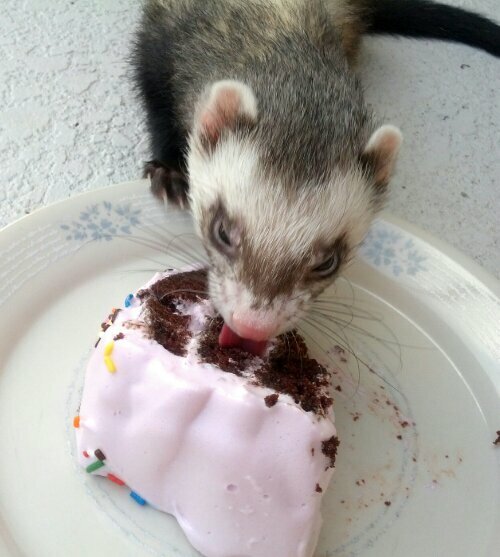 Chocolate Cake for my Ferret! 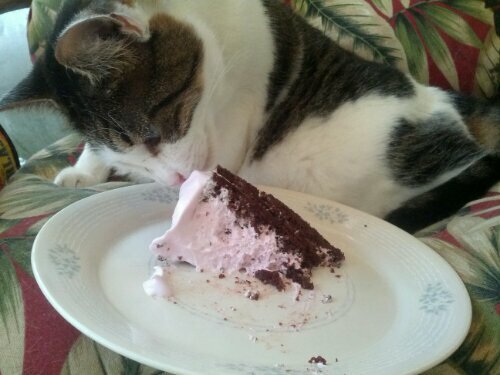 I decided on chocolate cake because he is a chocolate fiend! He loves all sweets but chocolate is his favorite. 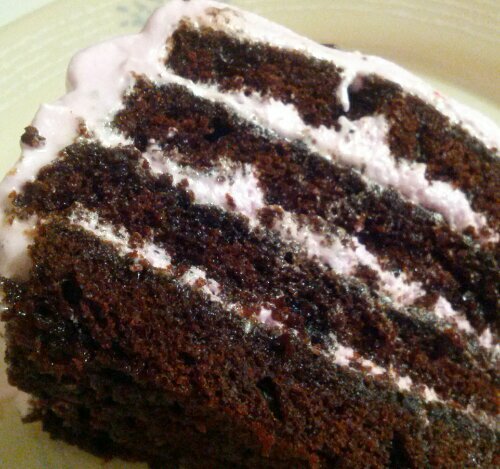 I didn’t make chocolate frosting because, as much as he loves chocolate, I didn’t want him to overload and get sick from it. 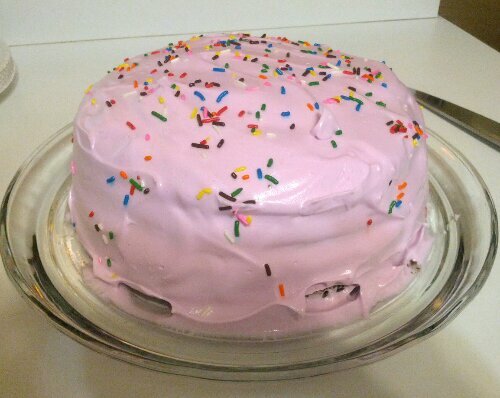 Of course I also put sprinkles on it because it’s a birthday cake after all! They all 3 ate off that one piece but don’t worry, they were all monitored and each only had a very small amount.